With profound sadness and the deepest respect, we share the news of the passing of Sam Yohanan after a courageous battle with cancer. Sam Yohanan was born to John and Saise Yohanan in Chicago, Illinois on October 26, 1935. He was the middle of 4 children: Joe, Benjamin and Ruth. Sam graduated from St. Michaels High School, where he was an avid basketball player. After serving in the Army 10th Mountain Division in Austria, shortly after the Korean War , he returned home to graduate from DePaul University majoring in foreign trade and then attending Mexico City College for further education. He lived in New York City where he continued his lifelong delight and challenge, ocean shipping. He was a member of the New York Athletic Club and the White Hall club. In 1966-1967, he accepted a senatorial appointment as Harbormaster, Port of Saigon, during the escalation of the Vietnam conflict. He worked with the Military on deciding which ships came into the port to supply the operation. In 1987, Sam started his own Import/Export Corporation, Gulf South Forest Products, in Fort Lauderdale, Florida. His son, John, joined the firm in 1990 as they built their presence in the Caribbean. His other son, Samuel also joined the company in 1995 and helped them with their computer systems. The company has since expanded to become a worldwide leader in exporting forest products globally. He was one of the early advocates of Exim Bank and considers their function a significant reason for this future growth. Sam was the Commodore of the Coral Ridge Yacht Club from 2002-2006. He is a member of the Coral Ridge Country Club. 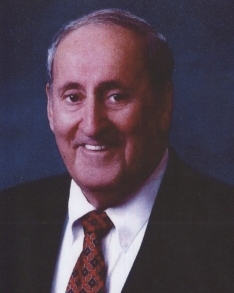 He has always enjoyed politics and was an enthusiastic supporter of charities directed toward the benefit of children, second opportunities for the disadvantaged and healthcare, including Holy Cross Hospital. Sam’s second wife, Donna Wartena, predeceased him in 2015. He is survived by his two sons, John and Sam Yohanan and six stepsons, George, Don, Chris, Paul, Marc and Mike de Claire, and their wonderful spouses and 9 grandchildren. As member of the congregation of St. John the Baptist Catholic Church, 4595 Bayview Drive, Fort Lauderdale, Florida, a Mass of the Celebration of Life will be held on Friday, April 12th 2019 at 10am. Instead of flowers, a donation to the “Jim Moran Heart and Vascular Research Institute” are being accepted by Holy Cross Hospital, attention of the Development Office, 4725 North Federal Highway, Fort Lauderdale, Florida 33308.